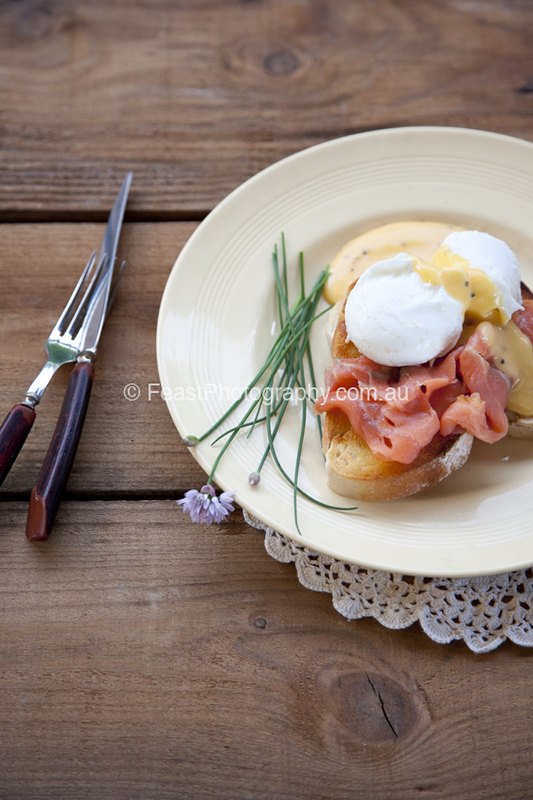 If you asked ten people what Eggs Benedict was, I am sure nine and a half of them would tell you it was poached eggs sitting on smoked salmon with hollandaise sauce. Which is what happens when restaurants (and some food writers) are sloppy with their naming. A similar situation exists with Eggs Florentine. Nevertheless, I just love eating this, whatever it is called. Top each slice of sourdough with a generous quantity of smoked salmon, top the smoked salmon with 2 reheated and well-drained poached eggs. Spoon hollandaise sauce over the eggs. Sprinkle with a little cayenne pepper if using, then season with sea salt and freshly ground black pepper. Garnish with a sprig of dill or tarragon and serve immediately. Variation: Cook some spinach in a little butter to wilt, then chop finely. Transfer the spinach to a sieve and, using the back of a spoon, press out as much water as possible. Season the spinach with salt and freshly ground pepper and lemon juice to taste. Top each slice of sourdough with the spinach, add the smoked salmon, the poached eggs, then the hollandaise sauce. Garnish as above.